America is undermining the international order, it has started a seriously escalating trade war with China and it is threatening the unity of NATO. At the same time, China and Russia are becoming increasingly assertive militarily and aligned in their anti-Western attitudes. All this is taking place at the same time as a crisis of democracy in the West is distracting it from wielding its national power. America’s new National Defense Strategy, launched by Defense Secretary James Mattis in January this year, proclaims that interstate strategic competition, not terrorism, is now the primary concern for US national security. The central challenge to US prosperity and security is the re-emergence of long-term, strategic competition by the revisionist powers of China and Russia, which want to shape a world consistent with their authoritarian models. Long-term strategic competition with China and Russia is now the principal priority for the US and requires increased military investment because of the magnitude of the threat they pose to US security today, and the potential for those threats to increase in the future. Mattis identifies the Indo-Pacific, Europe, and the Middle East as the three key regions prioritised for US preparedness for war. We should note here that he ranks the Indo-Pacific first, before Europe. These key US judgements should be a wake-up call for Australia’s defence planners. We now live in a threatening world and it is no good pretending—as former foreign minister Julie Bishop did—that China and Russia are not becoming serious military threats to the West and its values. That statement effectively undermines important judgements of the 2016 Defence White Paper with its utterances—on more than fifty occasions—of the importance of the rules-based international order to Australia’s security. Gyngell observes that the two previous international systems ended in war. This one, he says, seems to be draining away, as its core components led by the US lose confidence in its purpose, and emerging powers see opportunities to assert their interests. An American belief in the West’s international security system and willingness to invest in it with an effective network of alliances are now in doubt. 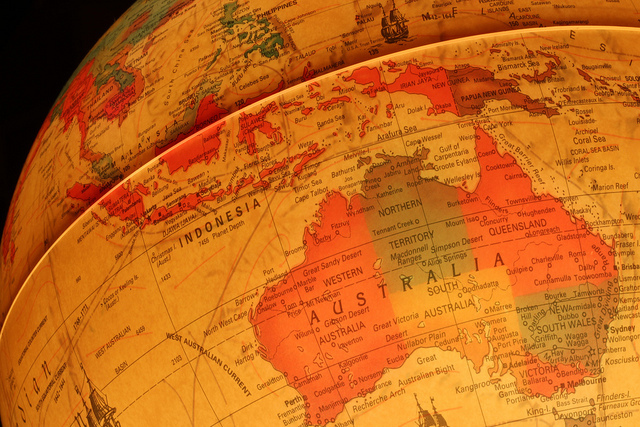 Each of the three elements that have characterised Australian foreign policy since 1945—the alliance, the region, and the rules-based order—now look very different. Donald Trump’s administration is pursuing interests and values in a number of areas which differ more clearly from Australia’s than any we have seen before. At the same time, we are dealing with a China which is more confident, more powerful and more assertive. The speed and direction of change are challenging all previous comfortable assumptions about stability and peace in our region. The 2017 Foreign Policy White Paper argues that without American political, economic and security engagement, power in our region is likely to shift even more quickly. The central question now is where will the leadership come from—if it is not from America—to sustain a stable new international order without conflict? We all know how the international order ended in the interwar years as rising new powers were appeased. Russia wants to see the end of NATO and a weak and divided Europe, which is increasingly in prospect given Trump’s undermining of that alliance. Trump sees Russia as merely a competitor, not a potential enemy. That is not the view of key European members of NATO. In contrast, Trump describes the EU as a ‘foe’ that he claims was invented to take advantage of the US economically. Trump’s meeting in Helsinki with Vladimir Putin on 16 July was an utter disaster. He described Putin as ‘extremely strong and powerful’ and accepted his advice—over that of the US intelligence community—that Russia had not interfered with US elections. Trump’s meeting with Putin has boosted Russia’s image of itself as a great power (velikaya derzhava). This week, France’s President, Emmanuel Macron, has warned that the ‘rise of nationalist forces is plunging the system of international cooperation into crisis’. By comparison, in his speech yesterday at the United Nations, President Trump asserted that ‘We reject the ideology of globalism and embrace the doctrine of patriotism’. And so, we are witnessing a potentially dangerous global shift away from internationalism towards extreme nationalism. We are thus in a period of unpredictable strategic transition in which the comfortable assumptions of the past are over. I’m not one of those who believe that America is about to pull out of Asia, but I do think we need to give serious thought to what Australia should do if the US made it clear that it expects us to do a lot more for our own defence. I suggest we need to focus on the following key challenges to deliberately develop a more self-reliant Australian defence policy. First, we need to focus more on our own region of primary strategic concern, which includes Southeast Asia (including the South China Sea), the eastern Indian Ocean and the South Pacific. We should get out of Afghanistan and the Middle East and reassert our influence in our own region, as China moves increasingly to challenge our strategic space and constrain the projection of our national power. Second, while aiming for greater defence self-reliance it’s vital that we continue to have access to highly advanced American military equipment, combat systems and weapons, defence science, intelligence and surveillance, to ensure that we maintain a clear margin of military advantage in our own region. The simple fact is that we have no credible defence future without access to the military advantages the US alliance provides directly to us. Increased defence self-reliance for Australia can never mean defence self-sufficiency. Third, we need to undertake a fundamental review of our relationship with Beijing and determine where its limits should lie. We have become far too dependent on China for our economic well-being. We need to consciously diversify our trade, investment, tourism and international student businesses with other countries. These should include Japan, South Korea, India, Vietnam and Indonesia—as well as Europe, which is experiencing its own problems with China. Fourth, the time has come for some serious long-term defence planning for Australia’s strategic future. It should include considering crisis situations in which the US may look to Australia to join it in military contingencies such as the South China Sea, the Korean peninsula, the Indian Ocean and the South Pacific, and perhaps even Taiwan. Ministers and defence planners must avoid being caught by surprise by such events and seriously consider what our response might be, or not. Fifth, we need to re-examine our core assumptions and messages about the alliance and how it may function during future crises in the Indo-Pacific. In emerging conditions of uncertainty, allies need to focus harder on understanding each other’s interests and calculations of risk. Allies cannot take each other for granted or make assumptions about one another’s future decisions, including mutual expectations about future contingencies and the use of military force. American actions and signalling will have a decisive effect on the choices we face as a US ally. We need to be alert to the gaps between promise and delivery in today’s American defence and foreign policies. Sixth, the ANZUS alliance has its best and most realistic chance to shape the long-term future regional order over the next few years. It will be much harder to influence and limit Chinese decision-making, and the strategic mindsets of other regional countries like India and Indonesia, in subsequent decades. Passivity on the part of the US and its allies will give China the initiative and increase the prospect that future crises will lead either to an overcorrection or a back down by the US. Chinese expansion in the South China Sea is a good example of Western passivity in the face of China’s political system, which can rapidly mobilise a coordinated effort to single-mindedly pursue its strategic interests. We may be seeing such Chinese behaviour being replicated now in the Indian Ocean and the South Pacific. Canberra and Washington need to be more direct with one another, and their polities, about this looming strategic challenge. Profound and corrosive change could occur because of the US and its allies being passive or distracted as China expands its dominance. In this regard, Southeast Asia is likely to be a focus of Chinese power and coercion and become a zone for incremental steps towards Chinese hegemony and a sphere of influence. This would have severe strategic implications for Australia. China’s projection of military power in the South China Sea is already threatening to constrain our ability to defend our maritime approaches. Finally, and above all else, we must recognise that we now face the prospect—for the first time since the Second World War—of a potential major power adversary, with whom we do not share fundamental values, operating in our neighbourhood and capable of threatening us with high intensity conflict. To counter this eventuality, we must develop a stronger defence force capable of denying our approaches to a well-armed adversary. Events could now become more serious, much more quickly. Therefore, more thought should be given to planning for the expansion of the ADF and its capacity to engage in sustained high intensity conflict in our own defence—in a way that we haven’t previously had to consider for several generations. Editor’s note: This is a transcript of a speech delivered by Paul Dibb at a panel discussion at the Australian National University on 27 September. Paul Dibb is emeritus professor of strategic studies at the Australian National University. Image courtesy of Marko Mikkonen on Flickr.